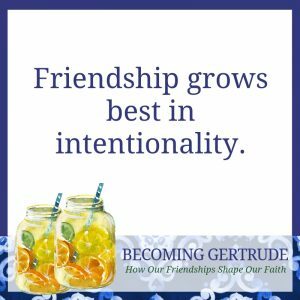 Why should I practice hospitality in spiritual friendship? To me, hospitality is a natural thing you do in friendship. You open your home to your friend whenever she needs to come to you—and she would do the same for you. Hospitality is a way to support someone in the midst of hard times, acting as a haven for them, helping and encouraging in tangible ways. And the vulnerability and service that come through opening your home and welcoming someone in is a foundational part of spiritual friendship. You’re welcoming someone into a precious place as an act of love. I remember realizing several years ago, as I knelt at the Communion rail to receive the bread and wine—the body and blood of our Lord—that this is God’s hospitable gift to and for me. It was a profound moment for me: God has blessed me with the gift of hospitality, and yet there I was in my sixties, experiencing consciously for the first time His hospitality for me in this act of kneeling and receiving. I feel so humbled when I receive this gift He has given to me. Hospitality is a misunderstood art, I think, because it is so often removed from relationship. When I see the word hospitality in the food section of the newspaper, I think that our culture has missed the true meaning. Resorts and hotels offer “hospitality,” but they only borrow the word. True hospitality is not a business. Hospitality as expressed by our Lord is healing, breaking bread, blessing, giving, welcoming the little children. So I get a little miffed when I see the word used to serve corporate purposes and pocket books. A good definition of hospitality is the friendly reception and treatment of guests and strangers in a warm, friendly, generous way. In his book Reaching Out, Henri Nouwen says the best hospitality is when you can’t tell the difference between the host and the guest. [i] Like so many other aspects of spiritual friendship, hospitality is giving and receiving in a continuous flow. 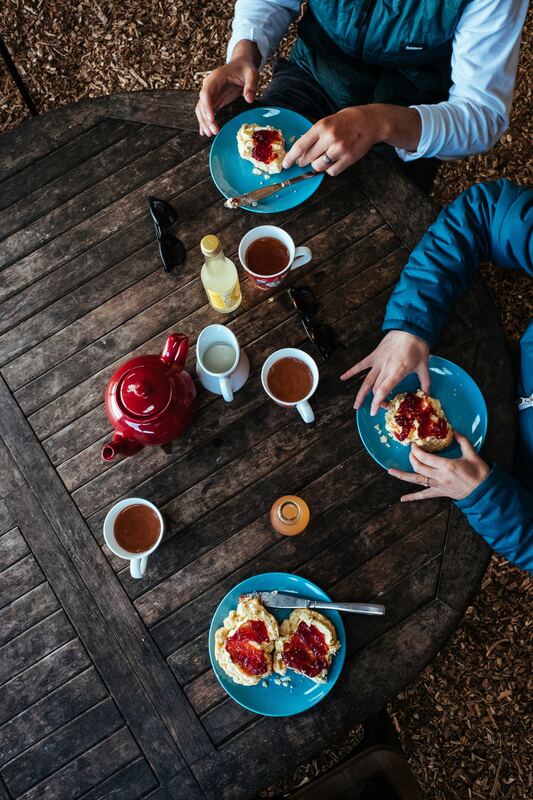 When we offer hospitality, our guest, whether a friend or a stranger, gives us something in return. One of the best experiences I have ever had was in a soup kitchen on Queen Anne Hill in Seattle years ago. The church members prepare a very tasty meal in the church kitchen every Wednesday night. When they first started this program for the homeless, something like twenty people came. Now, over two hundred homeless people take part. It’s a beautiful time of service and hospitality, with delicious food and linen tablecloths on the serving tables. But the best part is that the people from the church have supper at the tables with these folks, and conversation and friendships emerge. The humanity of those the world often overlooks is highlighted and celebrated. When Eugene and I were invited to attend and help with the serving, one of the guests was playing the piano. At one point while the man was playing, I went over and talked with him. He was excited because one of the church members had promised to bring his violin the next week so they could play together during the supper. I was grateful for our conversation and grateful to see this man’s gifts at work. He was offering lovely music to hosts and guests alike. When he left at the end of the evening, I said, “Good-bye, Chris.” And he, surprised that I remembered his name, surprised me by saying, “Good-bye, Jan.” He and the other guests were giving back to the church as they received from the church—through their gifts and through their relationships. I left that evening feeling more like the person that I want to become. “The paradox of hospitality,” Nouwen writes in Reaching Out, “is that it wants to create emptiness, not a fearful emptiness, but a friendly emptiness where strangers can enter and discover themselves as created free; free to sing their own songs, speak their own languages, dance their own dances; free also to leave and follow their own vocations. Hospitality is not a subtle invitation to adopt the life style of the host, but the gift of a chance for the guests to find his own.”[ii] When hospitality is done well like this, you experience something profound. Something like the Jewish word shalom—a sense of wholeness, where more is present than what you see. This is why hospitality is so important in spiritual friendship. We create wholeness in relationship when we welcome others. In the deepest, richest friendships, each of us is released to be ourselves, to offer others what gifts we have, to serve and love and care. Friendship also gives us the opportunity to reach out and honor how God has made others, creating an environment in which they can flourish. Our friends are always welcome, always taken care of, always shown generosity in relationship and hospitality. And, of course, in spiritual friendships, this should go both ways. We are completely ourselves, working together to offer hospitality to each other. Jesus showed us the deeper reason why hospitality is so vital to the life of faith: “Whenever you did one of these things to someone overlooked or ignored, that was me—you did it to me” (Matthew 25:40). Welcoming others, offering them a place of safety and home, is the way of Jesus. And more than that, it’s so important to Jesus, he says that showing hospitality to others is the same as showing it to him. What a high calling! [i] Henri J. M. Nouwen, Reaching Out: The Three Movements of the Spiritual Life (New York: Image Books, 2013), 65. [ii] Nouwen, Reaching Out, 70. 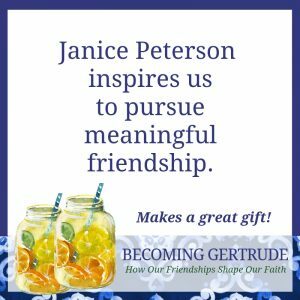 You have just read a portion of chapter 4 from the book, Becoming Gertrude: How Our Friendships Shape Our Faith by Janice Peterson. Want to learn more about spiritual friendship? This little book by the wife of beloved author and pastor Eugene Peterson will warm your spirit and strengthen your resolve to build meaningful friendships.